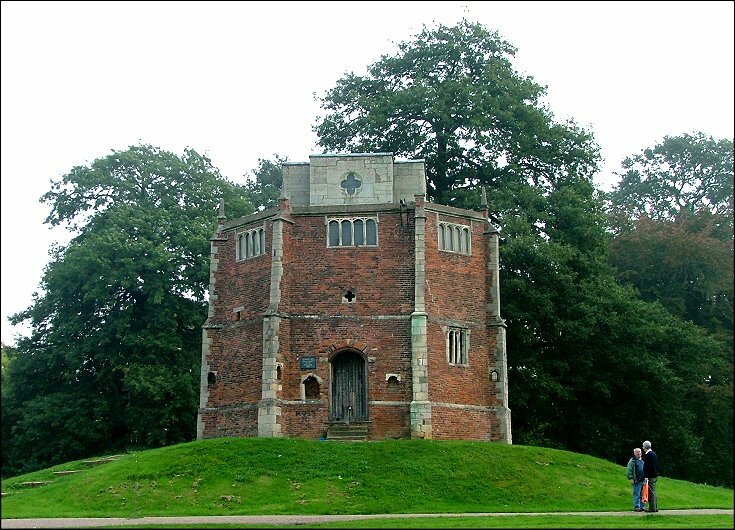 This curious little structure sits on a hillock in a public park near the centre of Kings Lynn, a stone's throw from the church of St John which is on the edge of the park. Pevsner describes it as one of the strangest Gothic churches in England, and that's not far wrong. 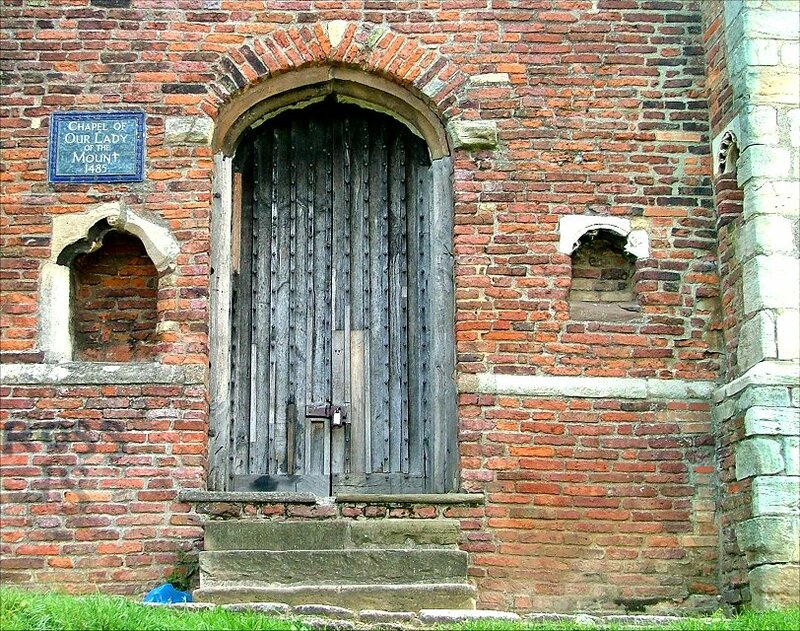 Built almost all in one go in 1485, it was a wayside chapel for pilgrims disembarking at Kings Lynn on their way to the shrine of Our Lady of Walsingham. 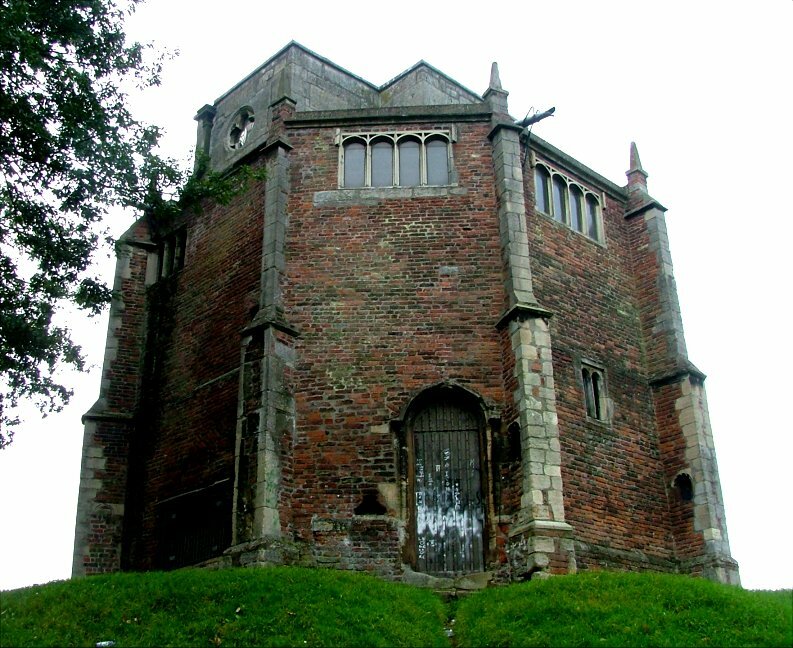 The chapel is octagonal, and has three storeys. 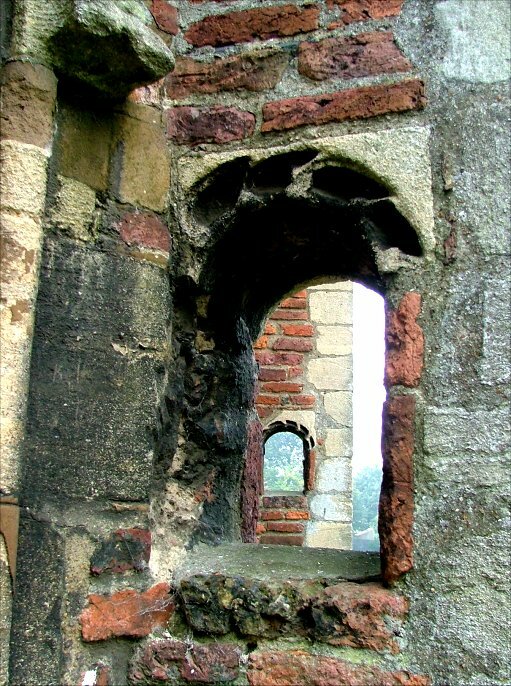 The buttresses have holes in them that form niches, and there are further niches in several of the faces. 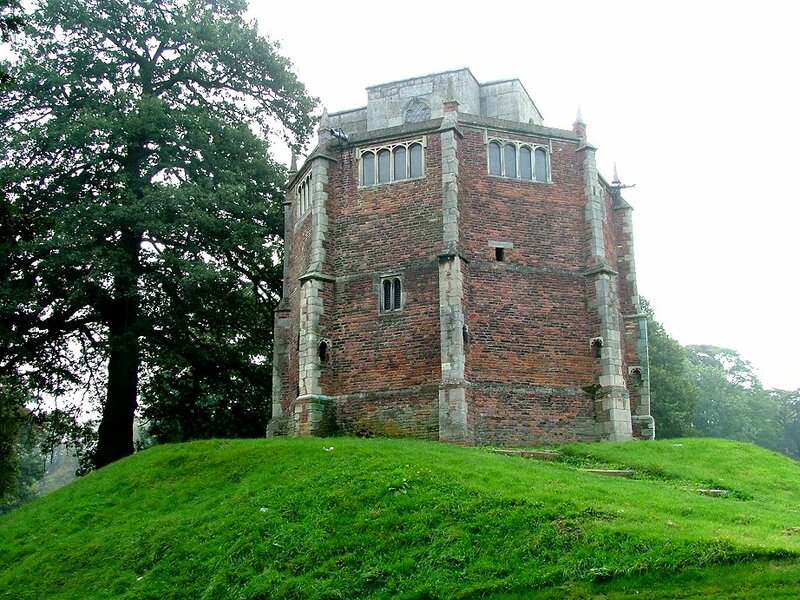 The top storey is made of stone, and probably came about twenty years after the rest. Each floor has an open space with a staircase around the outside. I only know this from books, because the chapel is kept locked, and considering the vandalism that the exterior has been prey to, this is probably a good thing.